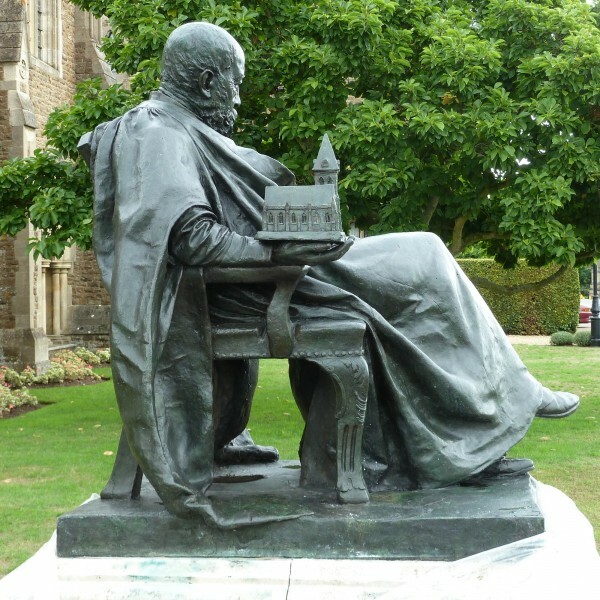 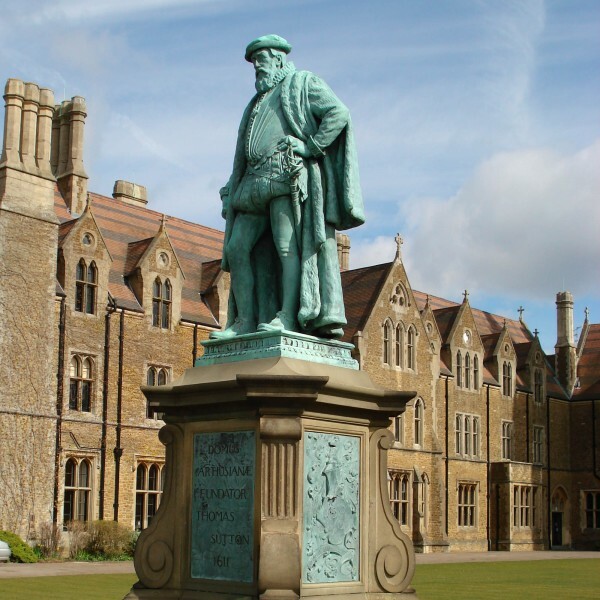 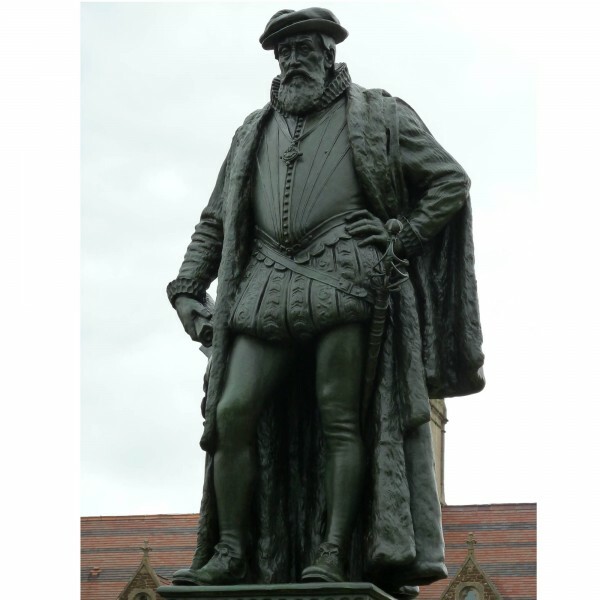 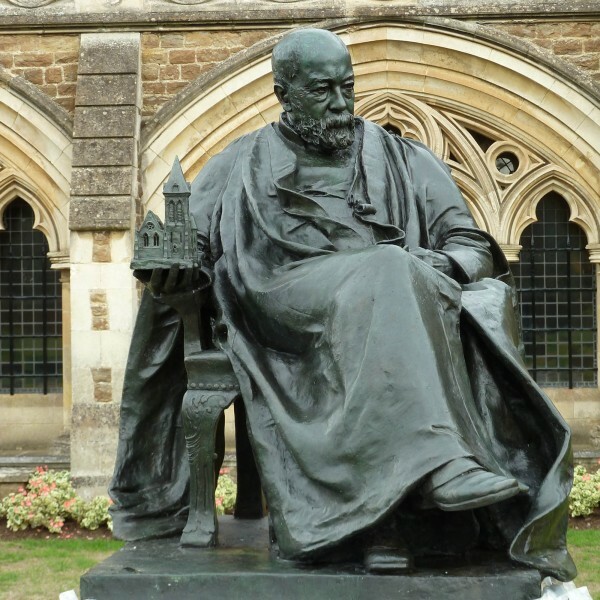 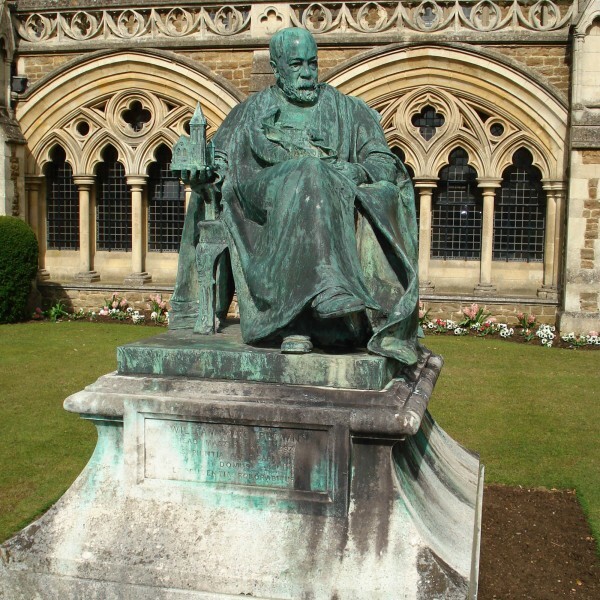 The original patina of these two statues in the grounds of Charterhouse school, Surrey, had deteriorated causing disfiguring staining and corrosion. 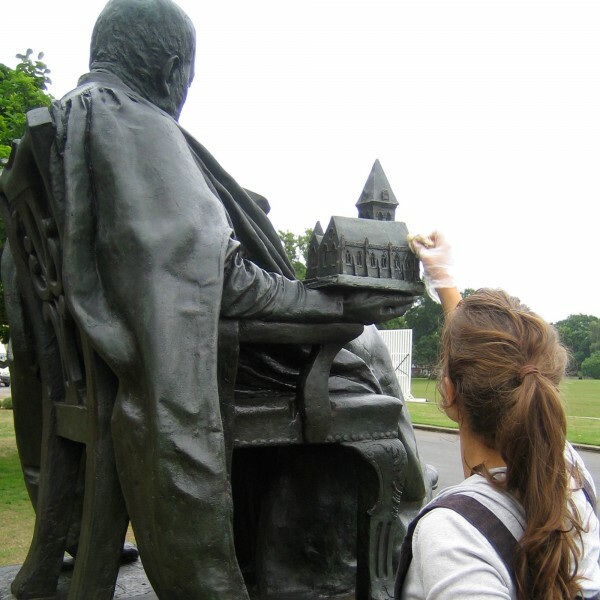 After thorough assessment of the sculptures they were cleaned to remove surface dirt and organic matter. 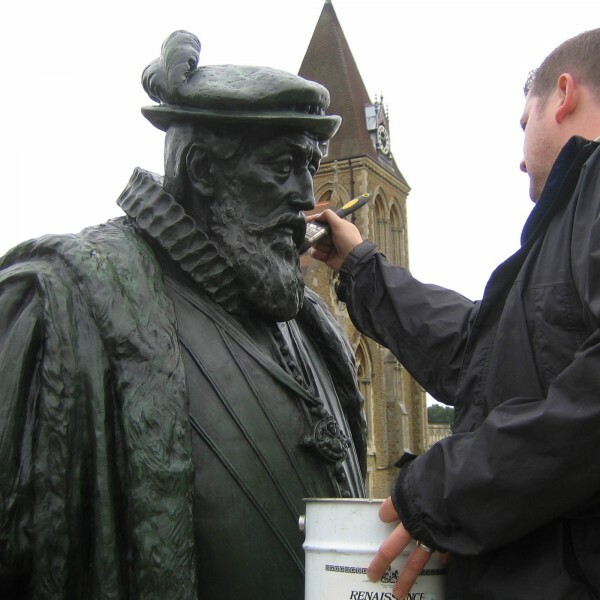 Areas of corrosion were treated and filled where necessary to prevent future water ingress. 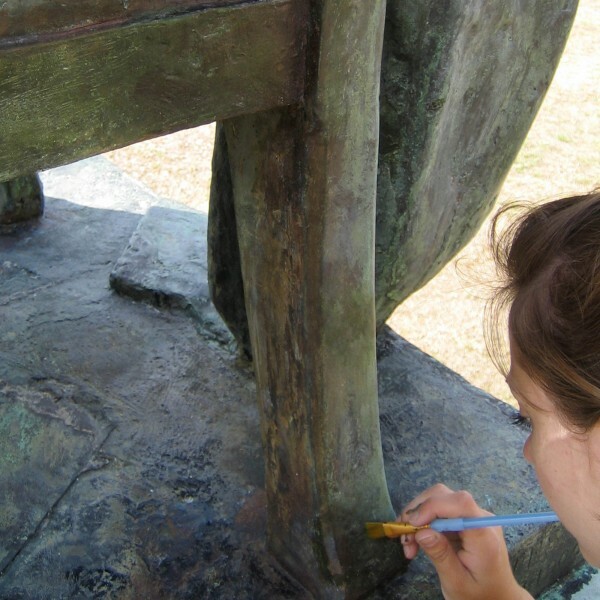 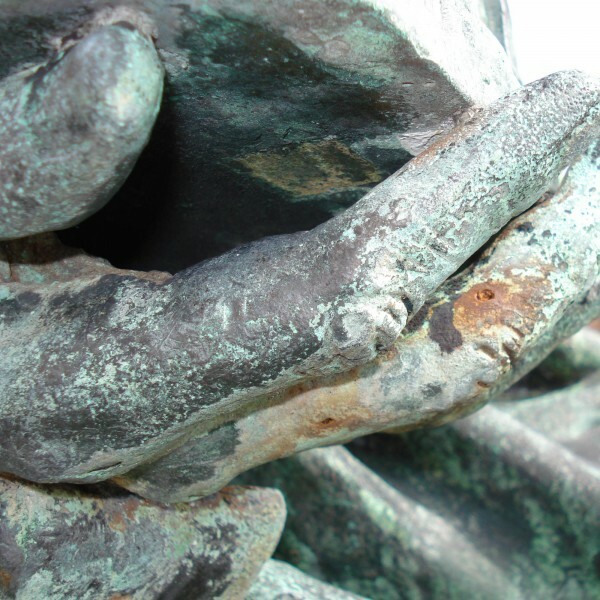 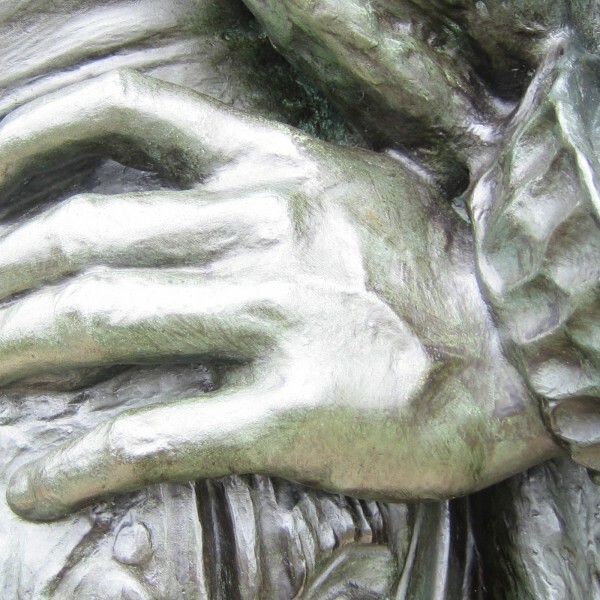 In order to seal the bronzes and protect them from the elements, the entire surface was treated with several coats of microcrystalline wax which was then buffed to a soft sheen to reveal the details previously disguised by the matt appearance of the weathered metal. 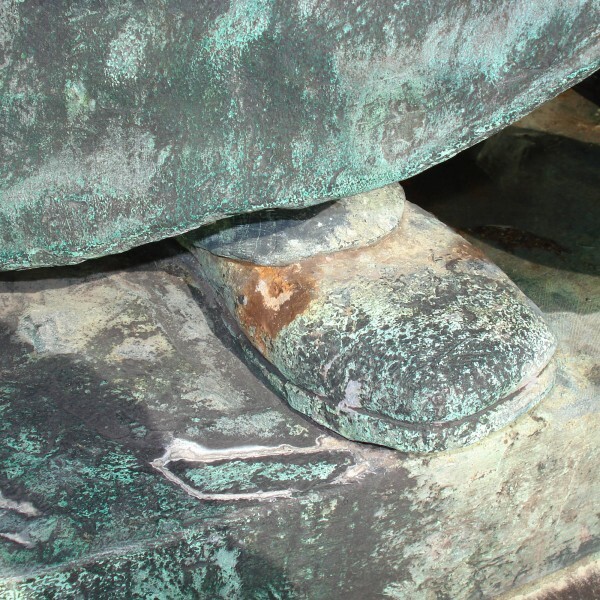 The stone plinths were gently cleaned and poulticed to remove much of the green verdigris staining disfiguring the surface.